Just when I thought I’d seen it all. Polaroid, with the help of it’s Creative Director Lady Gaga, has reinvented itself. 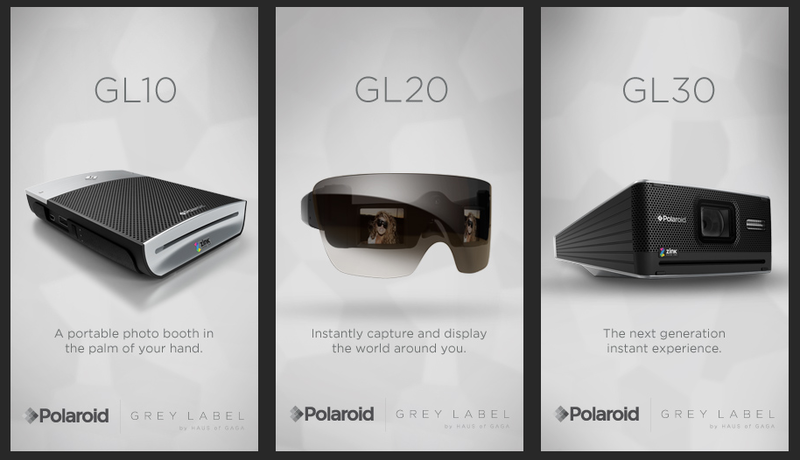 Last week, Gaga and Polaroid announced the Grey Label. The Grey Label is a new line of products, which includes the GL30 instant digital camera. That’s right digital photos right at your fingertips. This is so next level. I still have my old polaroid camera, but this is definitely something to invest in. The other products include, GL10 Instant mobile printer and GL20 Camera glasses. Once I got over the initial shock of Lady GaGa’s title in this venture, I was super psyched. I can’t wait!!! The price and date of availability have yet to be announced. Previous Post On Inspiration…Or I will not lose! Why didn’t I think of this!…seems so given! I know, right??? Think of something that will make us rich. Pls & Tks! I like the concept but I think it looks funny. It’s bulky like it’s predecessor.